Defiant Indigeneity: The Politics of Hawaiian Performance, University of North Carolina Press Critical Indigeneities Series, 2018. “The Theorist and the Theorized: Indigenous Critiques of Performance Studies.” The Drama Review. #62:4 (Winter 2018): 131-140. “Decolonizing API: Centering Indigenous Pacific Islander Feminisms” (with Maile Arvin) in Asian Americans and Women of Color Feminisms, Lynn Fujiwara and Shireen Roshanravan, eds., Pp. 107-127. Seattle, WA: University of Washington Press, 2018. “Bloodline is All I Need? : Sovereignty and Hawaiian Hip-hop,” in Sovereign Acts, Frances Negron-Muntaner, editor. Pp 199-229. University of Arizona Press 2017. “Cocoa Chandelier’s Confessional: Kanaka Maoli Performance and Aloha in Drag,” in Critical Ethnic Studies: An Anthology. Pp. 280-300. Duke University Press, 2016. “Aloha State Apparatuses.” American Quarterly. #67.3 (Fall 2015): 705-726. Native Studies Keywords. Stephanie Nohelani Teves, Andrea Smith, Michelle H. Raheja, eds. University of Arizona Press, 2015. “Tradition and Performance.” Native Studies Keywords, Stephanie Nohelani Teves, Andrea Smith, Michelle H. Raheja, eds. Pp. 257-270. University of Arizona Press, 2015. “A Critical Reading of Aloha and Visual Sovereignty in Ke Kulana he Māhū,” International Journal of Critical Indigenous Studies. Vol. 7, No.1, 2014. “ʻBloodline is All I Need’: Defiant Indigeneity and Hawaiian Hip-hop,” American Indian Culture and Research Journal. #35.4 (2011): 73-101. “Princess Kaʻiulani Haunts Empire in Waikiki,” in Detours: A Decolonial Guidebook of Hawaiʻi, Hokulani Aikau and Vernadette Gonzales, eds. (forthcoming, Duke University Press). “Get into the Spirit: Gay Tourism and Settler Homonationalism in Hawai'i,” (under review). 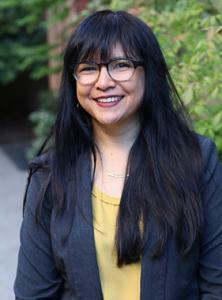 My research engages the performance of Native Pacific Islander genders and sexualities, straddling Native studies and APIA studies to examine the political and cultural stakes of Native/Indigenous cultural performance and its relationship to emergent decolonization movements, settler-colonialism, and militarism in the Pacific. My book, Defiant Indigeneity: The Politics of Hawaiian Performance (Forthcoming University of North Carolina Press Spring 2018), explores the spaces where Native Hawaiians perform the routines of everyday life; the overlooked zones of the Hawaiian undercommons (punk clubs, drag shows, hip hop venues); and the officially sanctioned domains of Hawai’i culture industries (folk, regional theatre and music videos). I received my Ph.D. from the University of Michigan and was a recipient of the Ford Foundation Postdoctoral and Dissertation Fellowships. During 2016-2017 I was a postdoctoral fellow at Yale University in the Center for the Study of Race, Indigeneity, and Transnational Migration. I am Kanaka Maoli and was born and raised in Hawai'i. I am a founding member of Hinemoana of Turtle Island, a collective of Pacific Islander feminists residing in California and Oregon.